Seminal sounds from this great Detroit group – and a key look at their less-remembered music of the 60s! 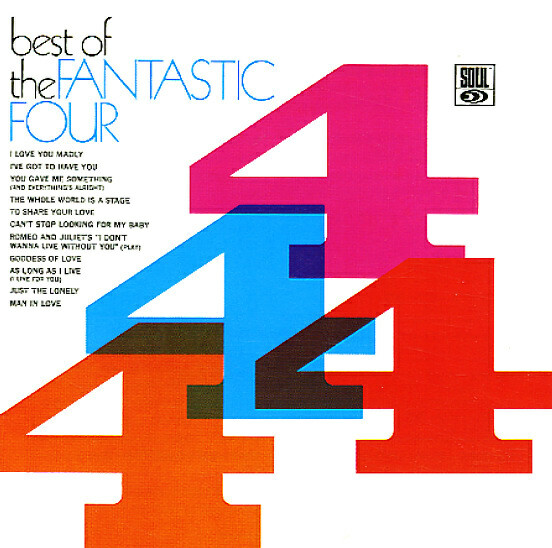 Although Fantastic Four are probably best remembered for their later disco work – including the Alvin Stone album on Westbound – back in their early days, they were a great Detroit vocal group with a sweet raw sound and some excellent harmonies. Although this album says it's a "best of", it's really the only full LP the group cut during the time – and it's a rare treasure of harmony soul, cut with a nicely stripped-down sound that makes the tracks shine like rough indie soul gems instead of Motown numbers. Titles include "I Love You Madly", "The Whole World Is A Stage", "Goddess Of Love", "As Long As I Live", and "Man In Love" – but the whole record's great! © 1996-2019, Dusty Groove, Inc.